Alan Stein, an expert in high-level training, tells us the fundamentals of his method. I realize that a small percentage of high school programs across the country are fortunate enough to still be playing� and in the hunt for a conference, district or state championship. For those that are, I wish you a healthy and successful end to your season. I hope you can get that ring and hang that banner! For those of you whose season has ended, it�s time for you to begin thinking about the spring and summer. While most of you will scoff at the notion, I highly recommend you begin your �off-season� by taking a full week or two off to rest, recover and recharge. Trust me, this recovery period is essential to your long-term success. Once your battery is fully charged, it�s time for you to start re-building yourself as the complete basketball player. And that starts by laying a solid foundation. You see, your athleticism is the foundation of your entire game. That is why the best players in the world are in the best shape. By improving your athleticism (strength, power, quickness, balance, agility, reaction, etc.) you will be able to perform your basketball skills (shooting, ball handling, passing, rebounding, and defending) at a higher level, with more efficiency and for longer before fatigue sets in. I know most of you don�t have a traditional off-season due to the rise in popularity of AAU, travel ball, summer leagues and camps. However, the spring and summer are times when you must be conscious of making improvements in your athleticism and skill development. It is a time when basketball performance workouts should be your highest priority. A couple of brief workouts per week are more than sufficient if you train properly. As long as your workouts are purposeful and progressive, improvements will be made. And little improvements will add up big over time. I encourage you to look at your game like a house. First, you must pour a strong foundation. If you neglect this integral step, your house won�t last. If you don�t take care of your body, you won�t move well on the court and you will be riddled with injury. Once you have laid your foundation, you can begin building your house. How do you build a house? Brick by brick. You lay each brick with precision. You lay each brick with care. Every brick is important. These �bricks� are the fundamental skills of your game � shooting, ball handling, passing, rebounding, and defending. And every brick matters. Every workout is a brick. Every practice is a brick. Every shot is a brick. Every pass is a brick. You must be meticulous with every brick if you want a remarkable house! Once you�ve laid your foundation (athleticism) and built your framework (skills) brick by brick, it�s time to add the walls. After all, what good is a house without walls? It doesn�t matter if you have a solid foundation and four sturdy walls if you have a leaky roof. Heart matters! It doesn�t matter how athletic you are, if you aren�t skilled, there is a limit to how good you can be. It doesn�t matter how athletic or skilled you are, if you have a low basketball I.Q., there is a limit to how good you can be. It doesn�t matter how athletic, skilled or smart you are, if you have no heart, there is a limit to how good you can be. The house you build now is the house you will live in next winter! And you don�t want to live in an old house, do you? Train hard. Fuel smart. Get better. PS: As any homeowner will tell you, the upkeep of your house is a never-ending process. If you don�t take steps to maintain your house, it will fall apart and deteriorate. Constant upgrades, replacements, and renovations are a must. A house is never complete! The same is true for your game. You must constantly and consistently work on your athleticism, your skills, your basketball I.Q. and your mental toughness on a year round basis for the duration of your career. 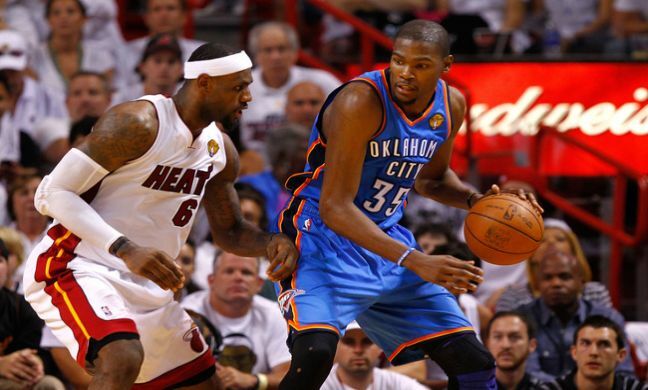 Players like LeBron James, Chris Paul and Kevin Durant are still working on their houses.